Even amidst the hype and hoopla of the latest big name Gospel album or chart-busting urban singles, it remains true that the foundation of the Gospel music genre remains the church choir. On virtually every Sunday morning, the church choir presents gospel hits and constant inspiration to congregations across the country. Since 2008, Verizon Wireless has launched an initiative searching for and honoring America's Top Church Choir, featuring two categories, small choirs and large choirs. It's Verizon's How Sweet The Sound. Now in its third year, Verizon Wireless presents a nationwide tour that makes it into 14 diverse cities. 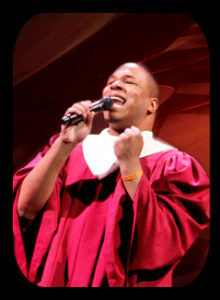 Showcased are America's top church choirs along with appearances from several of Gospel's biggest names. Link to the official Verizon's How Sweet The Sound website for full tour information and details by going HERE. This year's tour is hosted by Grammy award winners Donald Lawrence and CeCe Winans. GOSPELflava.com had the opportunity to check out several of the tour stops, with recaps, images and videos. Check it out using the links below, and stay tuned!